Some may scoff at the idea of mass-market compact cars like these being desirable, but how we feel about a car is a huge part of just about everyone's final buying decision. The Corolla has an enviable sales reputation behind it, but its undoubted success and popularity means you can't step out of your house for five minutes without seeing one. 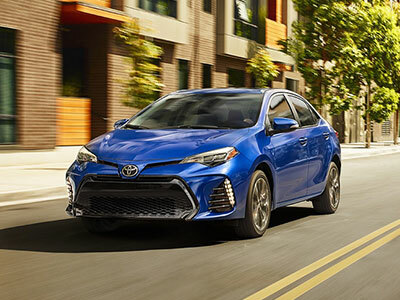 If you don't mind being just like your neighbors and many others, and you prefer vanilla over something a bit more exciting, the Toyota Corolla might be a good option for you. The Elantra has also been around a while, but this 2018 model has little in common (other than the name) with its predecessors. Perhaps a little surprisingly, the 2018 Elantra is actually less daring in its styling than its recent predecessors, but that also translates into wider mass-market appeal. The Toyota Corolla needs a major redesign as this one is starting to look a little tired, especially compared to something as contemporary and less commonplace as the Hyundai. The Hyundai Elantra and Toyota Corolla are very close as far as passenger space is concerned, as the Hyundai boasts 95.8 cu.-ft. of passenger volume and the Toyota has 97.5 cu.-ft. Most dimensions inside are therefore pretty similar, but the Toyota is far more generous for those sitting in the back seats. While most dimensions differ by fractions of inches, you'll get almost six inches of extra leg room in the back of the Toyota. In contrast, you'll find far more trunk volume in the Elantra than in the Corolla, so your choice will likely be based on what you value more--passenger volume or cargo volume. However, the difference is so stark we have to give this round to the Toyota. If price and value weren't important to you, it's unlikely you'd be looking at one of these two vehicles in the first place. Since the Corolla is such a top seller, you might expect its price tag to be insanely affordable. To be fair, it won't break the bank to buy one. However, at the lower ends of the trim level spectrum, where the majority of the sales of cars like this will come from, the Hyundai is notably less expensive. As the Elantra also comes with a higher level of standard equipment in most cases, this gives considerable advantage to the Hyundai. Although fuel economy isn't perhaps as big a factor in purchase choices as it might have been a few years ago, few of us like spending more on gas than we have to. The Elantra is fairly fuel-efficient, although it's not quite up with the class leaders. The best figures for the Elantra come in at 32 mpg in the city, 40 mpg on the highway and 35 mpg combined, which is going to be more than good enough for most buyers. You might expect the Toyota to also beat the Elantra in this area, given its popularity. You'd be wrong. The Toyota comes close with a best of 30 mpg in the city, 40 mpg on the highway and 34 mpg combined, but that's still not as good as the Elantra. The Toyota Corolla is a remarkable car that has achieved mind blowing sales figures over the past half century, but it's not invincible. In fact, some of its rivals are surpassing its style, fuel economy, and value. 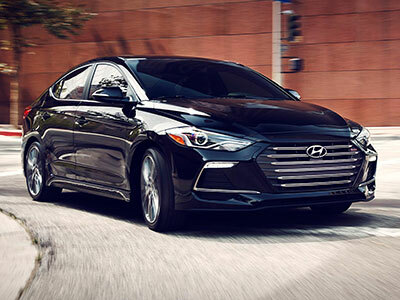 One of those rivals is undoubtedly the 2018 Hyundai Elantra, which looks more modern and stylish and also offers better value for money and lower running costs.